The Corner Hotel has been part of the hospitality and cultural landscape of Richmond since the late 19th century. Almost immediately successful due to its proximity to the busy Richmond Train Station, it has always been a favourite watering hole for locals. It wasn't until the 1940s, however, that the venue became synonymous with the best in live music entertainment. The Corner Hotel really hit its stride in the 1980s when it was a must-play venue for bands trying to increase their visibility in a crowded and talented field of Australian rock bands. Acts that cut their teeth on The Corner Hotel's stage include Johnny Diesel, Spy vs Spy and Baby Animals. During this era, the venue was visited by its share of established superstars as well. Rolling Stones frontman Mick Jagger performed there unannounced, and on a separate occasion, legendary Pink Floyd guitarist David Gilmour played an unannounced show at the venue in 1988. Today, The Corner Hotel remains an essential stage for amazing international and local rock bands with a growing reputation. 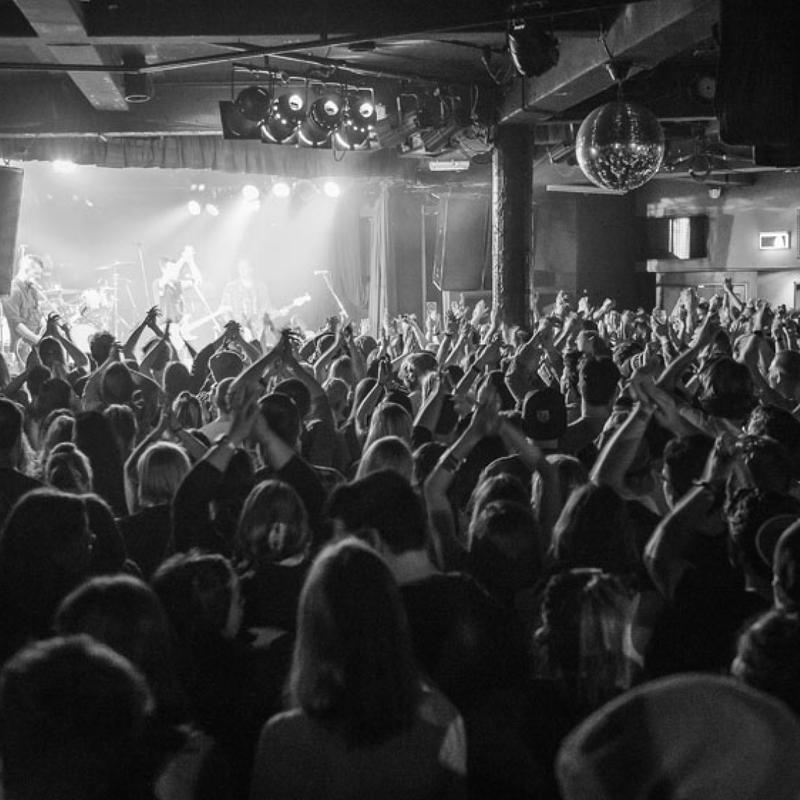 The Corner Hotel shows a lot of love for local music lovers and punters. They offer a food and drink discount (10%) for all Music Victoria, RRR FM & PBS FM members. All one has to do is flash a membership card at the time of purchase. There is also a special locals lunch menu that includes a selection of hearty meals, all priced at $15. In addition to the 800-capacity band room, The Corner Hotel has many spaces, some available for private hire, making it a unique location. There's the city bar room, the rooftop deck and beer garden with views of the Melbourne skyline, and the legends lounge that has memorabilia from The Corner's storied past on the walls. The hotel has an extensive dinner menu featuring both vegetarian and gluten-free options and an extensive drinks menu with a fantastic selection of beer and wine. The most significant feature on the drinks menu is the mad, scientist-level cocktails. For example, there is a drink called the "popular" that consists of Havana Club, popcorn syrup, lime, cloudy apple juice, Bundaberg ginger beer and Angostura bitters. The Corner Hotel is the only stop you'll ever need for a night out. If travelling by train, Richmond Station is a two-minute walk away from the Corner Hotel. If light rail is more your speed, the number 70 tram alights on Lennox St and Richmond Station. Both stops are only a minute away from the venue.